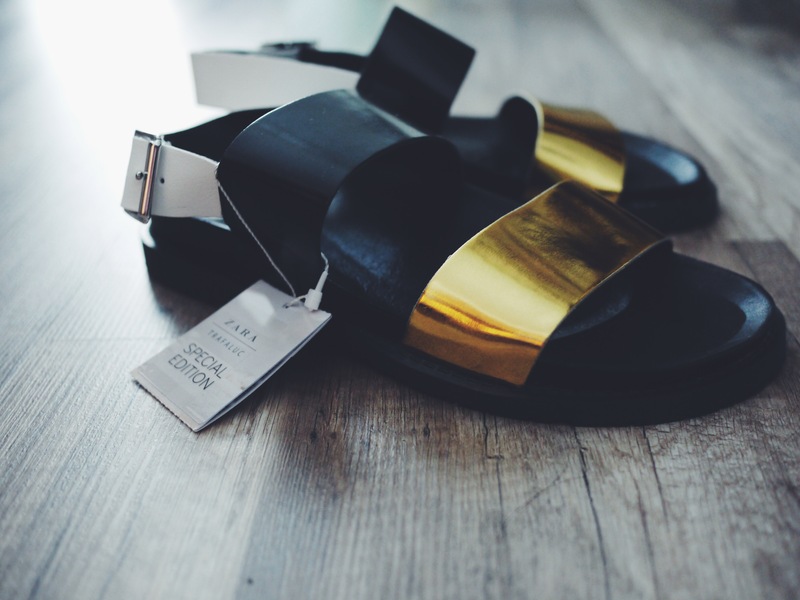 When the Birkenstock style sandals trend first started I was very very very skeptical. They’re chunky, fat, and goofy looking and I wondered why people are so head over heels in love with them. After seeing so many bloggers styling with them I started to open up to them a little more and become more accepting to styling with them, but not to the point where I was willing to drop lots of dollars to invest in a pair… The other day I was browsing the Zara sale and came across this pair, I didn’t immediately buy them as I still wasn’t sure how I feel about this style, but after days of not able to keep my mind off them, and with the affordable sale price of $25.99, I figure it was worth the investment and see what the hype is all about. Upon receiving and trying them on, I have nothing but great things to say about them. 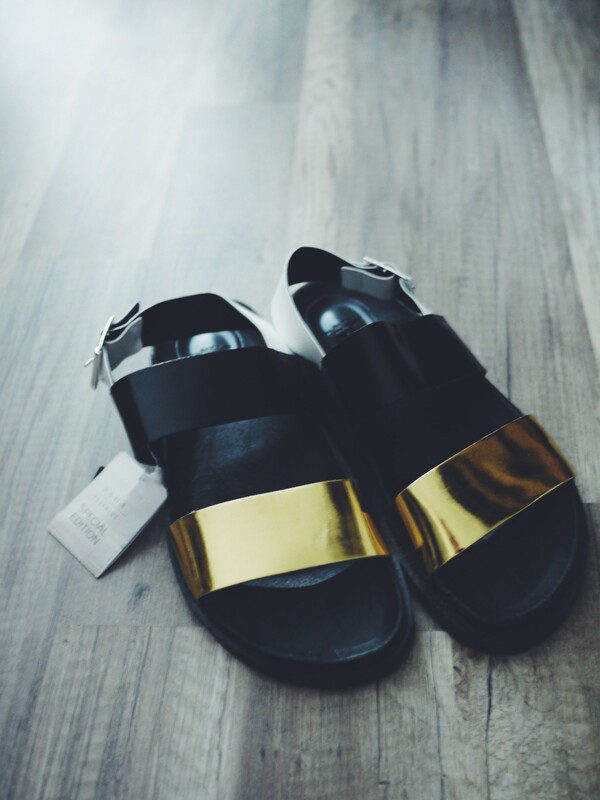 The color combination of metallic gold and black leather is gorgeous and gives the overall look a little more edge, the style is more clean and simple than the standard Birks since they don’t have the buckled straps on top which I like, the white straps on the backside (which I was not a big fan of when I first saw them online) look surprisingly good when you put them on as they make the sandals look more grounded and together than a slip-on, and on top of all that the wide and roomy toe box and thick sole are really comfortable for my feet. But the most surprising thing I discovered is when you put these comfortable bulky shoes on, they’re actually very flattering on the legs! Beauty and comfort all in one? I’m in. I’m so glad I invested in a pair and cannot wait to style with them. 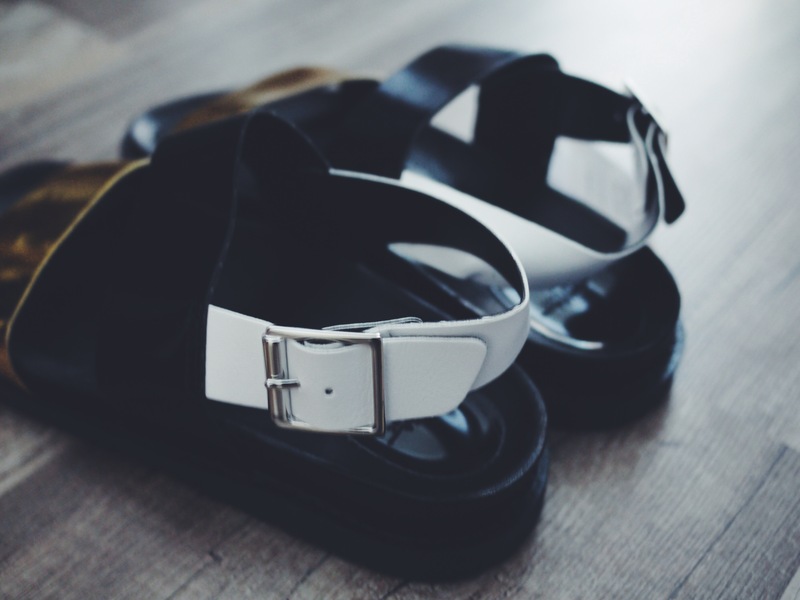 Are you a fan of these Birkenstock style sandals? 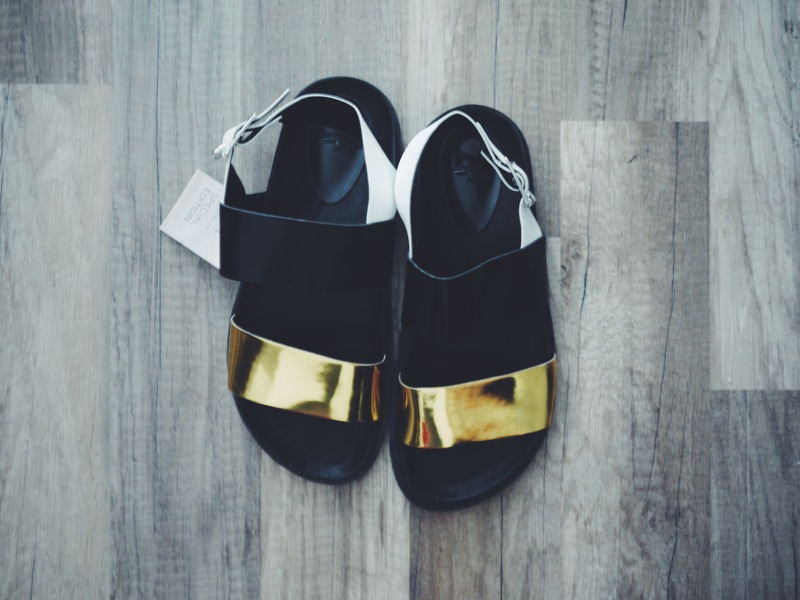 Hi, hi, YES I love these – very Birkenstock meets Chloe or something equally fashionable. Also this may be a bit weird but I love your hardwood floor color… And hope I get to see it in person soon!